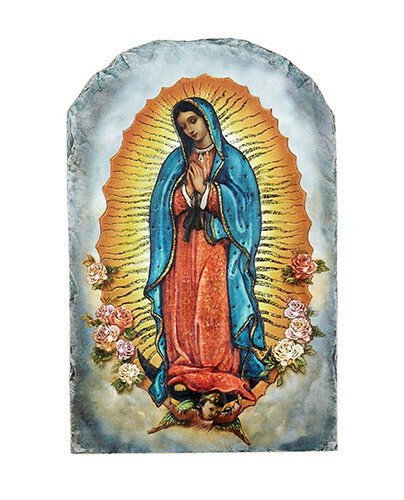 The Marco Sevelli Arched Plaque collection features this embossed relief tile plaque of Our Lady of Guadalupe. The vibrant tones painted on this plaque make it ideal for a special prayer corner in the home. Comes with a scrolled wire stand for tabletop use and a keyhole hanger for the wall. Gift boxed for easy storage or gift giving.